In spite of being associated with SARMS, Stenabolic (SR9009) is in fact a Rev-ErbA ligand. It means SR binds to this protein and makes it more active. As a result, the user will experience a lot of positive effects, such as increased fat loss, enhanced endurance, and many other health benefits. Interestingly, it is one of the newest advances in pharmacology, but it is already getting more and more popularity among athletes all over the world. Therefore, in this article we will discuss what SR9009 is, how it works, and all the benefits it can offer to the user. 1 What is Stenabolic (SR9009)? Also known as Stenabolic, SR9009 has been developed by Scripps Research Institute under the leadership of professor Thomas Burris. As mentioned beforehand, SR9009 is a synthetic Rev-Erb ligand, which is taken orally. 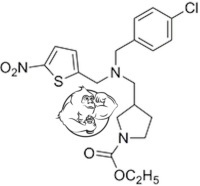 This is a very unique compound. By stimulating the Rev-Erb protein, SR9009 has the ability to greatly influence a lot of regulatory mechanisms in the human body. For instance, it can affect the circadian rhythms, lipid and glucose metabolism, fat-storing cells, as well as macrophages. Hence, Stenabolic will allow the user to lose fat and drastically increase endurance, both of which are very desirable effects for an athlete. If that wasn't enough, we need to mention that SR9009 will also decrease proinflammatory cytokine IL-6 by a whopping 72%, which will obviously be very beneficial for the reduction of inflammations. Logically, with so many positive effects, SR9009 will have an extremely varied use in medicine. For instance, the drastic decrease in triglycerides and plasma glucose will be a huge help in the treatment of type 2 diabetes. What's more, Stenabolic will be a crucial element in the treatment of sarcopenia - muscle and strength loss caused by aging. Additionally, SR9009 will allow doctors to treat obesity in those who for medical reasons cannot train or carry out any exercises, as it can replace exercise. Finally, it is very hard to overestimate its effectiveness in the treatment of cholesterol related conditions or metabolic syndromes. Up to now, no side effects have been observed with SR9009, so it may be seen as an extremely safe compound. Since Stenabolic is not a hormonal drug, it does not aromatize into estrogen and there is no suppression of natural testosterone production. Moreover, just like in the case of other SARMS, SR9009 is not liver toxic, but there is a need for liver supporting supplements when using it. N2Guard at 3-5 capsules per day will be sufficient liver and kidney support. Stenabolic can be considered a major breakthrough in modern pharmacology, as it combines an incredible number of health benefits. Yet, it has no side effects to be concerned about. This Rev-Erb ligand will be extremely useful in medicine, and it is already successfully used in performance enhancement. SR-9009 dosing and timing? need input.